Rejiggered chaperones untangle aggregates and refold mutant proteins associated with amyotrophic lateral sclerosis, frontotemporal dementia, and Parkinson’s disease, according to a paper in the July 25 Disease Models & Mechanisms online. The altered chaperones, variants of heat shock protein 104 (Hsp104), reverse toxicity of mutant α-synuclein, TDP-43, FUS, and TAF15 in yeast cells. “Nothing else is known that can do this,” commented senior author James Shorter of the Perelman School of Medicine at the University of Pennsylvania in Philadelphia, in an email to Alzforum. Other experts praised the basic science. “As a proof of principle I think it is very exciting. It means that it may be possible to make designer proteins that can specifically clear pathogenic aggregates without interfering with the normal chaperone mechanisms of the cell,” commented Gregory Petsko of Weill Cornell Medical College, New York. However, Petsko and others found it difficult to envision this specific mechanism translating directly into people, since humans have no Hsp104 homolog. “I would be astounded if it ever became a therapy,” said Petsko. Shorter and first author Meredith Jackrel selected Hsp104 as a potential aggregate-buster because it was already known to dissolve both amyloid fibrils and soluble oligomers (DeSantis et al., 2012). They used error-prone polymerase chain reaction to randomly sprinkle mutations throughout the Hsp104 gene and screened for variants that allowed yeast to survive TDP-43 toxicity. Jackrel came up with several effective Hsp104 mutants, and earlier this year she reported that they destroyed aggregates of wild-type TDP-43, FUS, and a-synuclein (Jackrel et al., 2014). Wild-type Hsp104, in contrast, does not disassemble those protein aggregates. The authors continue to combine and shuffle the individual mutations to figure out which create the ideal disaggregase. Different variants may work best for different target aggregates, they suspect. “There is no one ‘best’ variant yet,” Shorter explained. Because mutations in TDP-43, FUS, or α-synuclein cause a range of inherited neurodegenerative diseases, Shorter and Jackrel tested Hsp104 variants against these mutant proteins, as they report in the current manuscript. They co-expressed eight different Hsp104 versions, individually, with one of three TDP-43 variants, two FUS variants, and two α-synuclein variants. Jackrel linked the transgenes to a promoter activated by galactose and tested how well each double-mutant strain grew on galactose medium. While the mutant TDP-43, FUS, and α-synuclein alone were toxic to the yeast, also expressing the Hsp104 variants allowed the cells to survive. In addition, Jackrel observed via fluorescence microscopy that aggregates of the toxic proteins dissolved in strains that co-expressed Hsp104 variants alanine-503-valine (A503V) or valine-426-leucine, but not wild-type Hsp104 (see image). Next, Jackrel tested the Hsp104 disaggregases against FUS’ close relatives, TAF15 and EWS. Mutations in these proteins have also been linked to ALS and FTD, and they aggregate in patient tissues or model systems (Couthouis et al., 2012; Couthouis et al., 2012). An Hsp104 A503S variant worked against TAF15, but none of the Hsp104 variants worked on EWS. In fact, several of the modified chaperones made EWS more toxic. “We suspect that for [EWS], the Hsp104 variants exacerbate the misfolding rather than reverse it,” Shorter wrote. “We do not understand why.” The results indicate that the Hsp104 variants are not general disaggregates attacking any unfolded protein, but possess some substrate specificity. How do the chaperone variants select their substrates, then? To investigate this, Jackrel used purified Hsp104 to unfold green fluorescent protein (GFP) until it had lost its fluorescence. She attached six histidine residues to the GFP to act as a short, unfolded hook onto which the chaperone could latch. Wild-type Hsp104 unfolded GFP a little, but the A503V variant unraveled it more. Neither wild-type nor variant Hsp104 disassembled GFP if the histidine tag was missing. “Hsp104-A503V is a more powerful unfoldase that recognizes even very short unfolded regions of substrates with greater precision than Hsp104 wild type,” the authors wrote. Aaron Gitler of Stanford University in Palo Alto, California, who was not involved in the study, commented that these findings will help the authors develop Hsp104 variants that are specific for different substrates, such as TDP-43 or FUS. Should this evolve into a clinical treatment, doctors would want to avoid harming natural, beneficial amyloids, he noted. “We have uncovered a powerful biochemical activity to reverse protein misfolding,” Shorter wrote to Alzforum. “The challenge is to get it to where it is needed in human disease.” Dagmar Ringe of Brandeis University agreed. “I think it is a phenomenal study. It is amazing that you can take a heat shock protein and tailor it to recognize different proteins,” she said. “My concern is, how do you get from there to the clinic?” The altered chaperones would have to reach the nervous system, which is not easy, she noted. Shorter and colleagues are testing their variants in nematodes, fruit flies, mice, and rats. In the previous study, Jackrel expressed the Hsp104 variants in a Caenorhabditis elegans model of Parkinson’s; that removed wild-type α-synuclein from aggregates, put it back where it belonged, and protected dopaminergic neurons. 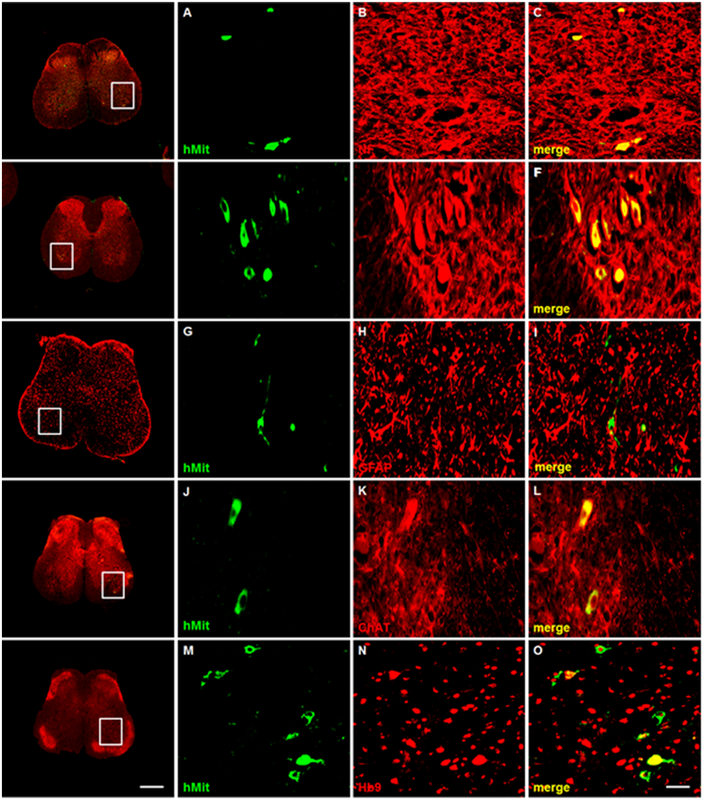 Wild-type Hsp104 minimized aggregates and protected neurons in a rat model of PD (Lo Bianco et al., 2008).